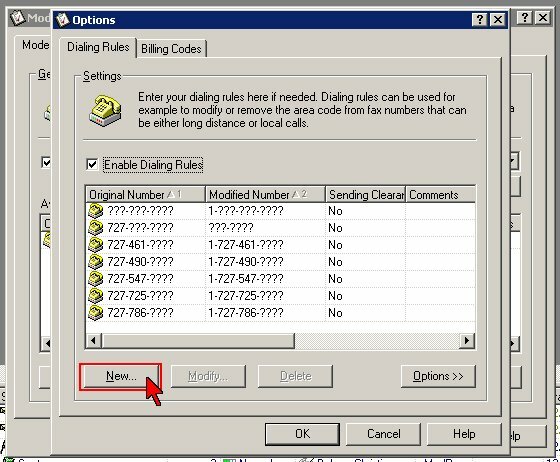 These simple seven steps will show you how to change the dialing properties within ActiveFax. 1. 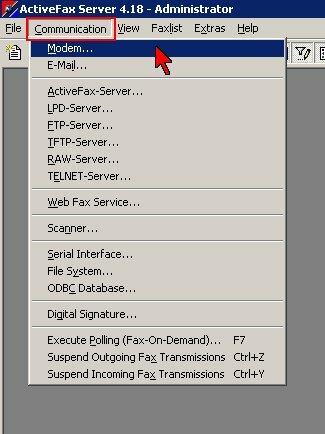 If ActFax is not open, double click the ActFax icon located on the Systems Tray. This is located by the time in the lower left of your monitor. 2. 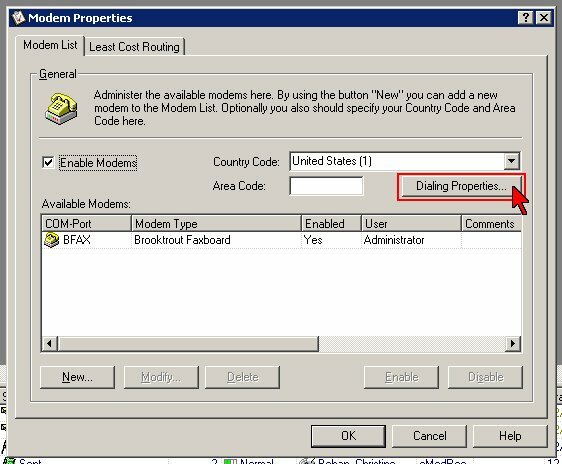 From the Communications menu selection, click on Modem to open the Modem Properties window. 3. 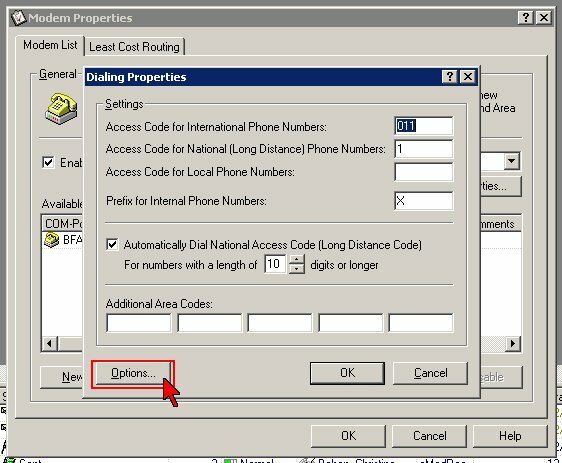 In the Modem Properties window, click Dialing Properties. 5. Here you can review what Dialing Rules your practice has in place. Click New to add a new rule. 6. In the (1) Original Number field, type in the number that you dial. Use question marks for the digits that will vary when dialing this rule. Please note the examples. In the (2) Modified Number field will automatically fill in with the original number. Simply add the one along with a hyphen to the beginning of the number. 7. Click OK to close the windows and you are finished. 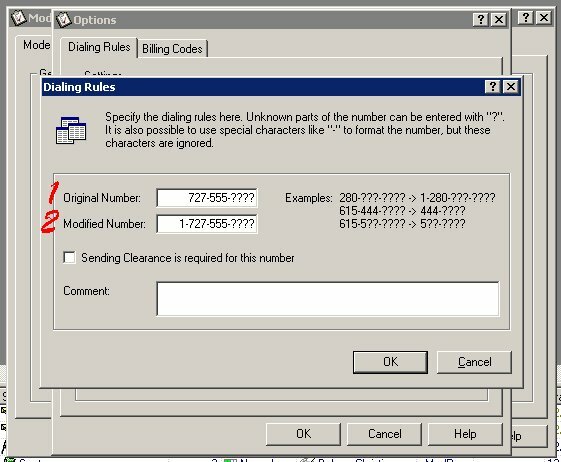 ActFax will now add the one to any number set with the dialing rule.